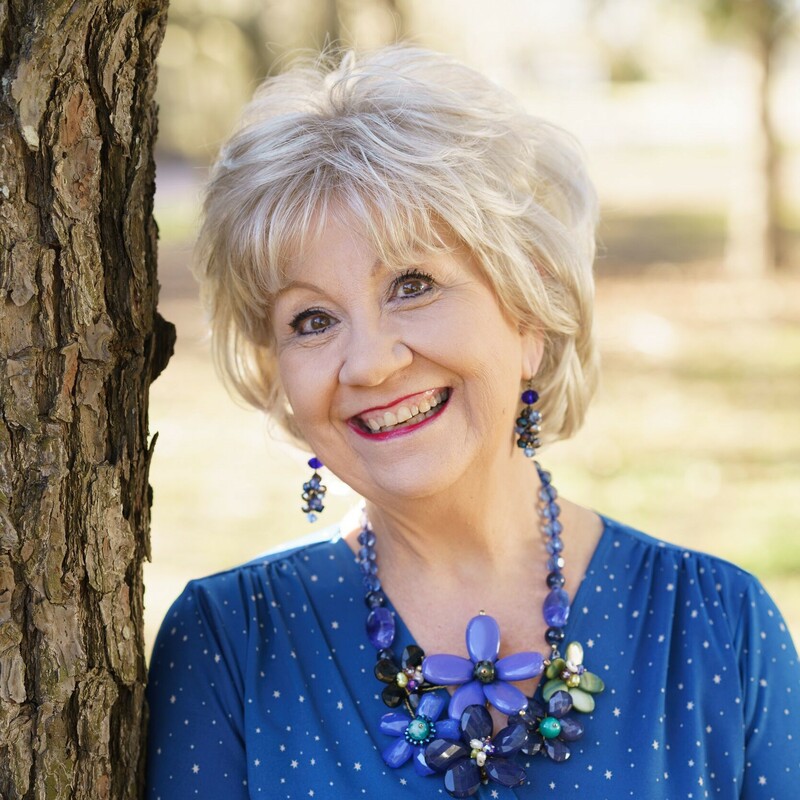 Lucinda Secrest McDowell – "Encouraging Words"
These were my words to the writers and speakers attending my seminar entitled “What Your Audience Desperately Needs.” Because it’s true. We all carry soul wounds. Scars from childhood family skirmishes. Scratches from professional rejection. Scabs from physical trauma we never saw coming. Limps from having fallen one time too many. What are your souvenirs of suffering? And what do you do with them? Making this choice in the middle of woundedness is strategic: “Distress that drives us to God does that. It turns us around. It gets us back in the way of salvation. We never regret that kind of pain. But those who let distress drive them away from God are full of regrets, end up on a deathbed of regrets” (2 Corinthians 7:10). Jesus knows we are wounded. Be assured that our Lord is in the “binding up” aspect of restoration and healing: “God heals the brokenhearted / and bandages their wounds” (Psalm 147:3). Like Thomas, perhaps we need to touch His hands and feet. He understands. NOTE: Did you enjoy this blog? If so, would you consider entering your email in the above right form and subscribing to it by email? I assure you I won’t overload your in-box, but would love to send you these ‘encouraging words’ each Wednesday. Thanks! I still cannot believe what He did. How about you? What do you do in response to what He did? For us. In the Garden. On the Cross. At the Open Tomb. In these next days we are called to Remember. To commemorate What He Did. I have gathered some favorite prayers and hymns and scripture to guide my journey through the Triduum (3 days) and hope you will join me in this Holy Time. Maundy Thursday commemorates the Last Supper of Jesus Christ with the Apostles. It is also the night on which Jesus was betrayed by Judas in the Garden of Gethsemane. The English word “Maundy” is derived from a Latin word meaning “mandate.” This refers to Christ’s words when he was explaining to His disciples in the Upper Room the significance of washing their feet, “A new commandment I give unto you, That you love one another; as I have loved you.” (John 13.34) As we remember this mandate to love, how will we respond? Good Friday is the day we remember the Crucifixion of Jesus Christ. The hours of noon to 3 p.m. are particularly significant as these commemorate the time Jesus hung on the cross. It is a somber day and many choose to wear black to symbolize darkness and mourning. “Most dear Jesus, condemned to death by an unjust Council, taken as an evildoer before Pilate, and ridiculed by the wicked Herod, have mercy on us, O Lord. Most dear Jesus, publicly shorn of your garments, and most cruelly scourged at the pillar, have mercy on us, O Lord. Most dear Jesus, crowned with thorns, beaten and blindfolded, clothed in rich purple and mocked, have mercy on us, O Lord. Most dear Jesus, likened to the infamous Barabbas, rejected by your people, and unjustly sentenced to death, have mercy on us, O Lord. Most dear Jesus, burdened with the weight of the Cross and led to the place of execution like a lamb to the slaughter, have mercy on us, O Lord. Most dear Jesus, reckoned with the wicked, blasphemed, and derided, and given gall to drink to mitigate your pain, have mercy on us, O Lord. Most dear Jesus, dying on the Cross, pierced with a lance that drew blood and water from your side, have mercy on us, O Lord. Most dear Jesus, horribly bruised and marked with wounds, anointed for burial and placed in a tomb, have mercy on us, O Lord. This is a day to behold the body of Jesus in the tomb today, and to contemplate the mystery of our death in preparation for our hearts to receive the Good News of life. We know that tomb will be empty and remain empty forever as a sign that our lives will not really end, but only be transformed. Our reflection on this Holy Saturday, and our anticipation of celebrating the gift of Life tomorrow, can bring immense peace and joy, powerful freedom and vitality to our lives. For if we truly believe that death holds no true power over us, we can walk each day in the grace being offered us – to give our lives away in love. Could there be any more hopeful and extraordinary words ever uttered on an early Sunday morning? Do you believe them? That Christ is Alive? And that He wants to fill you and me with His Life – empowering us to live as “Easter People” every single day? Click HERE to Hear/See “Was It A Morning Like This” – beautiful! A decade ago I had the great privilege of spending time during Lent in the Garden of Gethsemane in Jerusalem. In the Easter story, Jesus’ time in the Garden is one that pierces my soul every time I think of all He encountered. So it was especially poignant to be there amongst the olive trees and in the shadow of the Church of the Agony. Gethsemane means ‘pressed down’ and that’s exactly how Christ felt in that night of his betrayal. As I observe Christ’s obvious peace in the midst of agony (that church is most aptly named), I realize that Jesus’ whole life was preparing Him for this moment and the way He was able to stand in it was in direct correlation to how He spent His days. I want to be more like Christ — it is a longing of my heart. And so I simply must do what Jesus did. Here are four practices God continues to use in my life during recent weeks. Incorporate prayers of the church in my devotions. I am a firm believer in praying extemporaneously. But I have also increasingly learned to appreciate praying the prayers that have been around simply for ages and ages. Prayers by King David found in the Psalms. The Lord’s Prayer. And prayers by many, many followers of Christ through the centuries. It’s not the fact that a prayer has been written down before that can occasionally make it seem ‘rote’ or ‘meaningless’. It is always what is in the pray-er’s heart that affects prayer. If you truly embrace words such as these, then your prayers are definitely heartfelt, even though what you are doing is aligning yourself with prayers of fellow believers centuries before now. Keep short accounts – forgive easily, offer grace, accept God’s mercy. Some of us attended an Ash Wednesday service and received the ashes in the form of a cross on our foreheads while hearing “Remember that you are dust and to dust you shall return” I am always reminded of my own mortality and how fragile life is. Are you? If so, then how important to keep short accounts with others, to not let the sun set on our anger. To reach out in love and friendship both to those we know and those whose path we cross unexpectedly. I am daily grateful for God’s grace to me and this season I want to be a grace giver to others. Offering forgiveness quickly is one way to do that. But also, we must learn to accept God’s forgiveness of us and therefore live each day under His mercy. Surrender…Relinquish… Lay it/him/her at the foot of the cross. Jeremiah 6.16 reminds us to “Ask where the good way is and walk in it, and you will find rest for your souls.” May we all do that in this holy season of Lent. Is It Time to Return? Christina couldn’t wait to leave home and see the world. Though she had a loving mother, life in her poor Brazilian village provided only a pallet on the floor, a washbasin and a wood-burning stove. Christina dreamed of more. And she expected to find it in the Big City – Rio de Janeiro. It broke her mother’s heart. Maria knew that her beautiful daughter had no way of making money and would be forced to do whatever was required when pride meets hunger. So she packed a small bag, bought a bus ticket and stopped briefly at the drug store photo booth for lots of small photos of herself. This desperate mother trudged through the city, stopping in the worst places – bars, nightclubs, seedy hotels – anywhere that prostitutes might frequent. And in every location, she taped on the mirror a small picture of herself with a note on the back. And prayed. Soon out of money and pictures, she took the bus back home to her village. Weeks later, a disillusioned and broken down Christina descended some stairs in the latest hotel, feeling exhausted and fearful. Living a nightmare instead of a dream. How many times had she wished she could trade any of those countless beds for that safe pallet back home? But she could never go home again. Not now. As she walked to the door her eye caught sight of a picture of her own mother on the lobby mirror. Have you wandered far in search of more? Seeking a path of sensation, significance or security? Only to discover the price was far too dear — you had to forfeit your scruples, your self-esteem, and perhaps even your soul. But now you realize that going it alone is highly overrated. Listening to the world’s views will only confuse and confound. Is it too late to return to the God who knows you best and loves you most? Now is the perfect time. He is waiting to welcome you home. But it does require a choice. I don’t know what day it is that you are reading this blog. But I do know it is a good day to return to the Lord in contrition and repentance. Having strayed and turned our attention to other pursuits, we have too often neglected to provide our children and the world an example of Christianity. But today we begin anew. 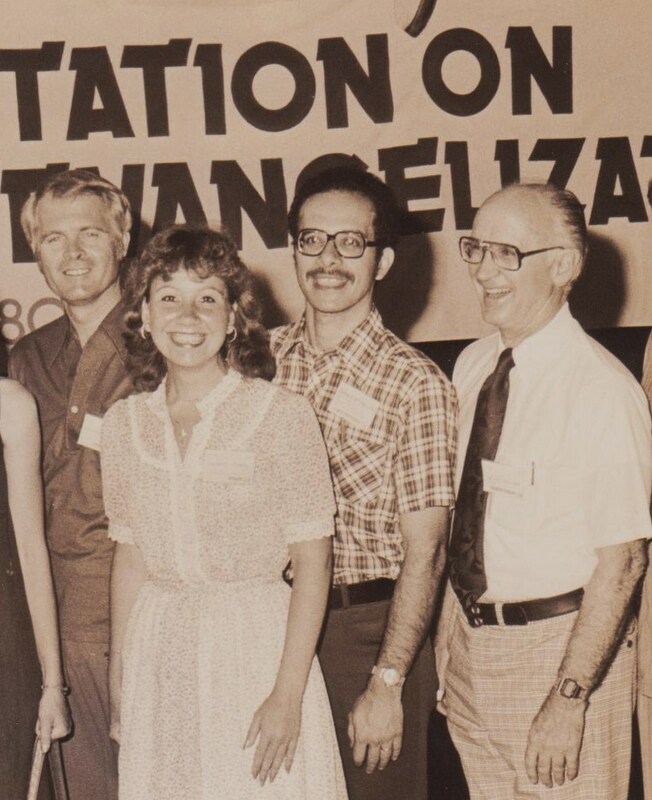 People came from many nations and backgrounds to the Lausanne Committee 1980 Consultation on World Evangelization, held in Pattaya, Thailand. I was the communications editor for the event and my exposure to these servants of God from so many different countries changed my world view immensely. But it was a simple story of two Americans that fleshed out humility in a very real way. Our venue was on the Gulf of Siam and rooms on one side of the hotel had a magnificent view of the ocean, while rooms across the hall saw only the ugly parking lot and dump outside their window. Boston area pastor Gordon MacDonald and seminary professor J. Christy Wilson arrived late at night and had gone straight to their shared room after a long travel day. Let’s face it. Most of us do not automatically respond with such gestures of selfless consideration. And yet, we could. The assumption of others as better than ourselves could be our default reaction, rather than our try-hard reaction. The apostle Paul admitted that this mindset was a struggle for him to achieve as well. Earlier in this passage he asks God to let him do nothing out of selfish ambition (translated from the Greek word epithelia, which means jockeying for position or acclaim) or vain conceit (translated from the Greek word kenodoxia which means empty praise or jealousy). He then urges us all to consider others in advance of our own concerns. That’s exactly the way my seminary mentor Dr. Wilson lived, and thus the first words out of his mouth that early morning (when he was barely awake) were joy that someone else would get the best view. I am forever indebted to Dr. Wilson and all he taught me, especially about prayer, and I am posting this story today, remembering that it was 20 years ago he entered glory. If we are to live the words found in Philippians 2, we must obviously look after our own interests, which is not usually much of a stretch. But our primary focus should be first and always to look after the interests of others, considering them more important, more worthy. Christ did that for you and me. Will we follow Him and do likewise? Is God Big Enough to be in Your Church and Mine? The smells were different. The sights were different. The music was different. And even some of the words were different. But it was the Same God. I recently attended worship in a Christian church culturally not my own. In such a situation, often the differences are what initially bombard the senses. Incense and icons. Chanting of unfamiliar music. Robes of gold and an exquisitely painted dome. I was reminded of other ‘different’ services I’d experienced in other lands — preaching from a flat-bed truck in Malawi, on the beach in Thailand, gathering in a dark hut in northern Kenya, and sitting in the back pew of a Mediterranean camp church where it was literally “all Greek to me.” Here in the USA I’ve worshiped in gymnasiums, cathedrals, tents, stone chapels and yes, even a Kentucky country church with snake-handlers! Yet in all these places the same Jesus Christ was lifted up and worshiped. Personally, I would rather embrace my common beliefs with other Christians, rather than focus on our differences. True, there are distinct differences. But we have the same Scripture and the same Lord and Saviour. Why not build bridges instead of erecting walls? Do you think God is actually Big Enough to receive our praise and worship in a whole world full of creative ways? Do you think perhaps that our prayers reach God’s ears whether they are totally spontaneous or whether we pray from the heart the words of an ancient prayer? I do both. And, I assure you, God hears. Because God knows the heart of the worshiper. He knows whether or not we are focused on Him, committed to Him, believing the words we sing and recite. Somehow I don’t think God cares as much about the form as we do. He cares that we trust and believe and hope and worship. And whether God’s people gather in an urban storefront or an underground cellar or yes, even an ornate sanctuary, He is among us. Frankly, I’m not crazy about religious labels. I am a Christ follower. That’s all that really matters. My home of worship is currently (and has been for 28 years) the oldest church in the state of Connecticut. Gathered in 1635, our sanctuary is called The Meetinghouse and we worship in a Puritan white simple edifice with doored pews and a high pulpit and absolutely no decoration whatsoever! In fact, it remains the same as when George Washington and Jonathan Edwards worshiped here hundreds of years ago. And it couldn’t be a more different atmosphere than the church mentioned in my opening. Yet here I find God. As do hundreds who attend our three Sunday services. Do you find God where you worship? Isn’t that what truly matters? After all, it’s not about me. It’s about Him. Last weekend I was privileged to speak with God’s people in a setting different from my home church. God met us there and all who attended were welcomed into fellowship. I thank God that He is Big Enough to be everywhere. What if evil hijacked your youth and held you captive for years and years? When escape to a new life was finally achieved, you would vow to stay as far away from your former captors as possible, right? Patrick was a sixteen-year-old teenager when he was abducted. There were no milk cartons broadcasting his disappearance, no organizations rescuing young people from human trafficking, no Amber alerts. He was on his own among a fierce pagan people. He was now a slave, far from home. The land was lush and beautiful. But the people were themselves enslaved to superstition, spirits and fear. Violence was common and life was cheap. In this alien land, Patrick grew up quickly as slave to an Irish Chieftain. When there was time to be lonely and homesick among his heathen captors, Patrick found solace in God and converted to Christianity. He drew close to Him through nature, silence and prayer. One evening he felt God’s Spirit was prompting him to go to the shore two hundred miles away. There he discovered a boat which he immediately took as God’s provision for his escape. After six long years he was finally free and able to pursue a new life! With a deepened, faith, he pursued ordination in the church and continued a vital ministry in Roman Britain. But the land that first captured him, now captured his heart. He longed to return to Ireland. Patrick had become convinced that he was handpicked by God to convert the entire country to Christianity. Patrick greatly respected nature, but he also wanted the Irish to know that God was the only One worthy of worship. So he used a shamrock to explain the three persons of the Trinity — God the Father, God the Son, and God the Holy Spirit — one stem but three leaves. He loved the Irish and they loved him back, perpetuating many legends about his life and ministry. When this Briton born as Patricius died at age 75, he was named Patrick, patron saint of Ireland. And neither Ireland nor Christianity was ever quite the same. The following prayer is commonly known as St. Patrick’s Breastplate, found in the ancient Book of Armagh, from the early ninth century. Patrick is said to have written this prayer to strengthen himself with God’s protection as he prepared to confront and convert Loegaire, high king of Ireland. We may not wear combat gear in our daily lives, but St. Patrick’s Breastplate can function as divine armor for protection against spiritual adversity. Where do you need to conquer evil by doing good? Ask God and He will reveal to you His battle plans for your own life. Now, I not only know what “Lent” means, I embrace this season – the 40 days prior to our celebration of the crucifixion and resurrection of Jesus Christ. Easter is one of the holiest and most significant observances in the life of a believer and definitely deserves more than just a one-day acknowledgement. “Lent” derives its name from an old Saxon word lencton which literally meant length. During these 6 weeks while we are repenting and reflecting on what Christ did for us, the days are lengthening and we are moving from winter to spring – literally into New Life. In the 3rd and 4th centuries Christians began the practice of a 40-day preparation period which many still embrace today. Lent is a time when our souls seek God in a fresh way. And yes, fasting is one way to do that. Some people fast from a certain kind of food, others from tempting time-consuming activities such as television or social media. The idea is to practice denial of something so that we can focus more on what Christ has done for us. For many followers of Christ, Lent has not been a regular observance because it’s what those “other churches” do. But I assure you, there are practices we can all embrace during this time which will draw us closer to Jesus. How will YOU observe Lent this year? Daily soul nurture through silence, prayer and a biblical devotional? Reflection and repentance for sin in choosing another path? Reaching out with love and service to those who are hurting and need hope? 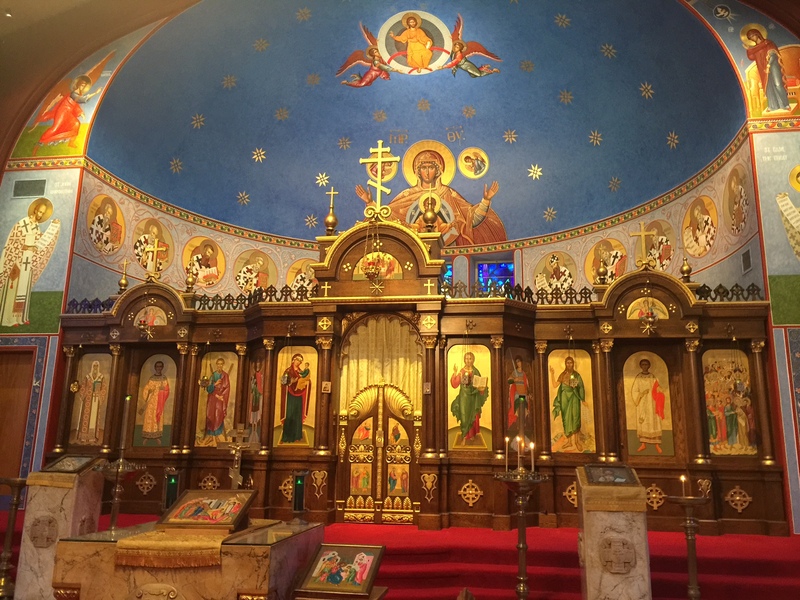 Worshiping with the body of Christ – Holy Communion weekly? Living in gratitude and sharing the Hope of Easter to all around you? C. S. Lewis knew how important it was to have like-minded friends with similar interests and concerns. Those who shared the same passion for writing and creating –like J.R.R. Tolkien and Charles Williams. So, the Inklings gathered together twice a week in community, out of which came such classic works as The Chronicles of Narnia and The Lord of the Rings. I’m grateful for many friends, including my “spasisters” who offer endless counsel, wisdom, support and prayer for me both professionally and personally. This name is really misleading because we have never communed together over a whirlpool or sauna. But we have gathered for “spiritual spas” and I find I can jump right in no matter how long it has been since the last communique. No long explanations needed – we are all seasoned women in leadership seeking balance. They are truly sisters-who-know-what-my-life-is-like. A new connection with a guild of mostly younger women who are writing and speaking on cutting edge issues is also timely for me. Every day these sisters (through our online group) teach me something new and point me to exciting ministries that are evolving in fresh wineskins. And occasionally, I’m able to offer wisdom and encouragement from my own lifetime of writing and speaking. I eagerly look forward to more. Never Compare – Competition can kill professional connections. Please recognize that you both have strengths and unique stories to share. Don’t try to imitate her journey or personal style. Be confident in who you are and what you have to offer. Keep Confidences – Nothing destroys a relationship faster than telling secrets. Be a person she can trust, whether she talks to you about her new proposal, her financial advance, or a family struggle. Promote Her Publicly – Praise her on social media and recognize her contribution to your life (or even your work) when appropriate. Be a cheerleader. Brainstorm Together – One great service we can perform with others in the publishing industry is brainstorming over titles or plot devices or platform expanding. Listen. Then, be an authentic soundboard and always be kind. Refer Her When Appropriate –One day you may be asked to speak at an event (or write a book) on a theme that is not your forte, but fits her perfectly. How gracious if you recommend her as an even better expert on the subject. Plan Appointments – If you are both going to be at the same convention, sharing a platform, or even an airport, plan in advance a time for one-to-one catch up if at all possible. This shows how much you value keeping in touch. Share Her Joys – Make a deliberate effort to congratulate her on a new book release or an award nomination or win. Chances are nobody “at home” noticed, so your words will be especially appreciated. Don’t Use Her – Yes, our professional friends have all sorts of contacts and while there is nothing wrong with occasionally asking them to mention us to that event planner or editor, try not to make this a habit or certainly not the basis of your relationship. Keep Expectations Loose – She is your friend but she is also professional friends with many other people. So, don’t expect to always be included in every gathering and don’t assume rejection when you see her social media posts. Welcome New People – Don’t always gravitate just to those you already know at professional events. Reach out to welcome new people into your life and expect a blessing. Pray for Her – And by that, I mean don’t just say you will pray for her, do it! If possible, pray over specific requests (or dates or deadlines) that she shares with you. This may be the most important ‘glue’ for your relationship. We grow to love those for whom we pray. There is strength in connection! “Who is your favorite literary character and why?” was the question that opened our online study – a weekly gathering of ten women from all over the country. What ensued was a lively discussion of our childhood heroines, including insight into how those characters may have helped shape the course of our lives. Though we had known each other for many years, our answers were surprising and provocative. That discussion question comes from a new Dutch parlor game called Vertellis. This name is derived from two Dutch words Vertel Eens. which loosely translate to “Tell Us More.”- which is what Vertellis revolves around! Not just by answering questions, but also by fully engaging. The creators’ mission is to bring people together at a time when we seem to be distracted by technology and ambition. The Vertellis team hopes to make a positive impact in the world by facilitating beautiful conversations and stimulate time offline. Questions have a way of doing that — good questions get right to the core. And in the answering of them we often learn about ourselves. Here are just a few examples of when Jesus used questions to help prompt people to identify their feelings, their needs and what to do next. Are there ways you could use questions to improve your own relationships? Did you hear anything that surprised you? Who did you play with/talk to at recess? What new word did you learn? How were you helpful today? A treasured gift I received recently is the devotional book, “Sacred Questions” in which the author’s own spiritual journey began with questions — bringing them to God, not just to receive answers, but to also be changed. In the process, God used that questioning to allow her to know Him and herself even better, to break patterns of sin, grow in forgiveness and love, and join his work in the world. God loves to answer our questions, so ask away! Would You Like to Write in New England next Fall 2019? All Writers & Speakers – "reNEW retreat for New England Writing"